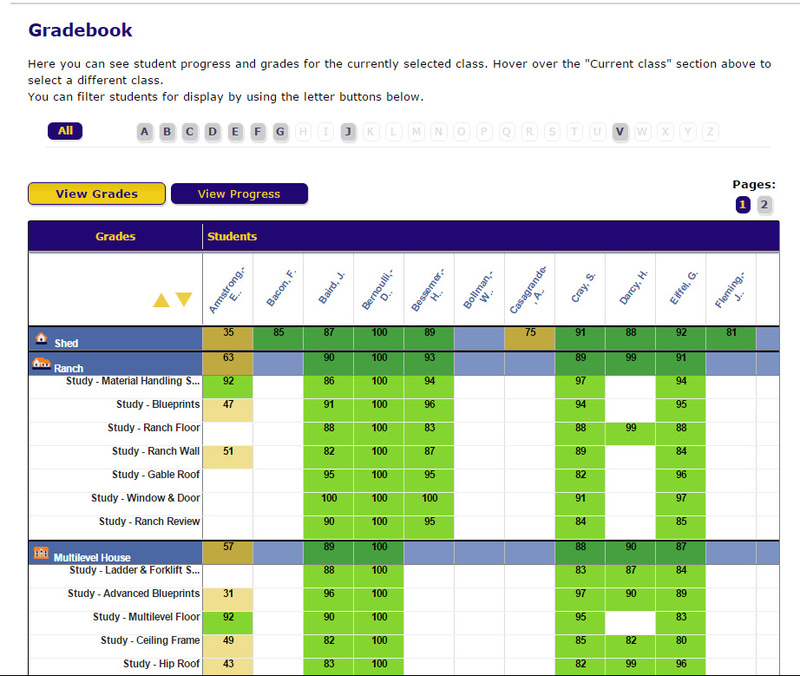 Try our free Demo versions! We offer a free demo version of each SimBuild product and a preview of the teacher LMS website included with our training software. 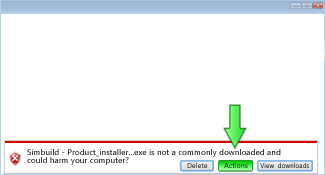 Below is a list of available demo downloads, related links and instructions. 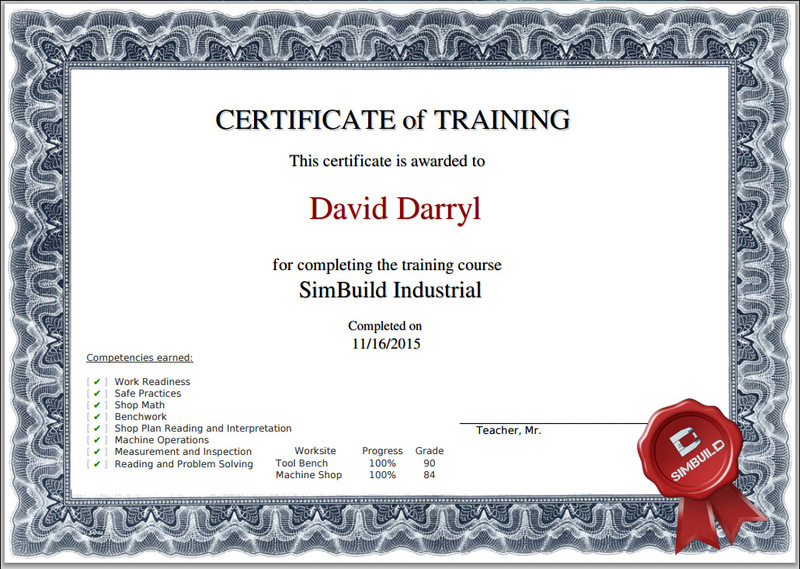 SimBuild™ Industrial (SBI) provides training in basic industrial skills and knowledge needed by entry level metalworkers. 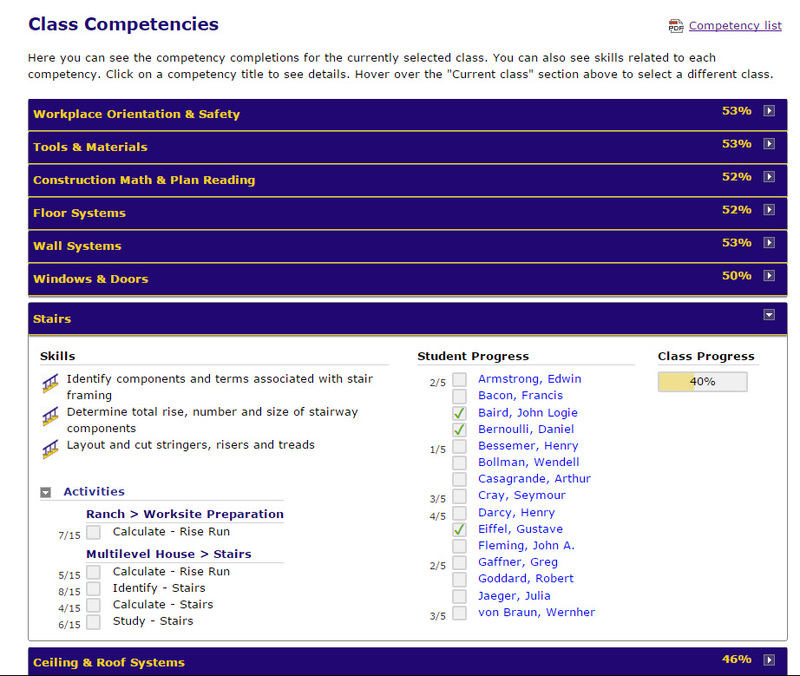 Practical shop math, measurements and plan layout help students interpret shop drawings, part layouts and machine settings. 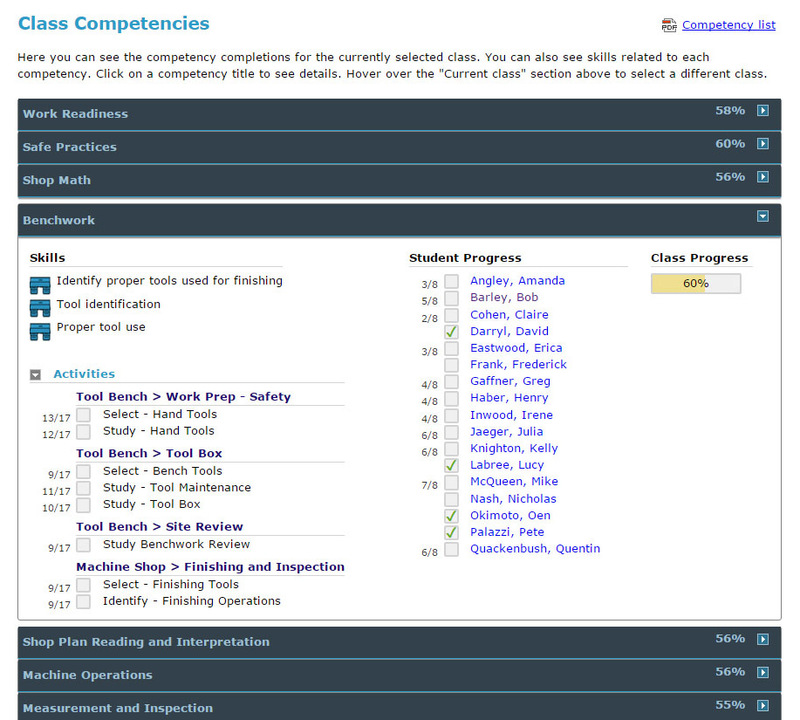 Students learn shop safety, machine operations and proper tool use, while reinforcing core reading, math and problem solving skills.Find out more! 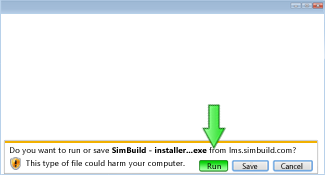 Download and install the SimBuild Industrial application. 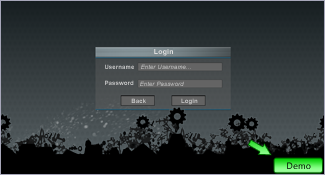 A demo mode button is available from the login screen. 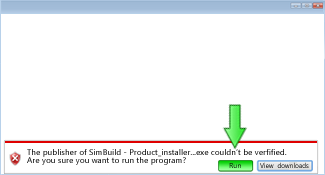 No account is required to play in demo mode, but your progress will not be saved. 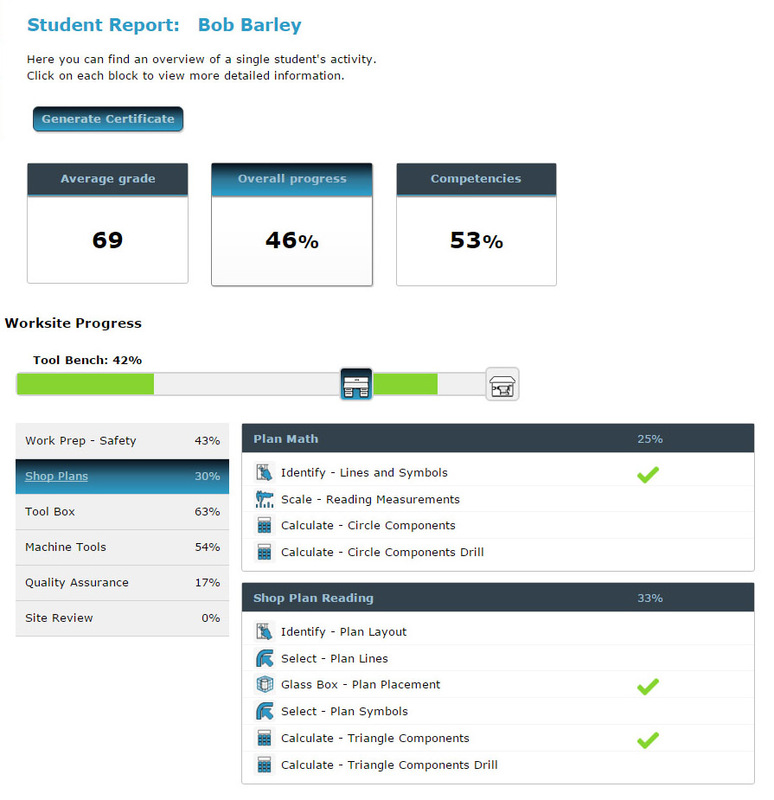 The Learning Management System (LMS) website serves to display student progress and performance data, generate student completion certificates, and manage user accounts and licenses. 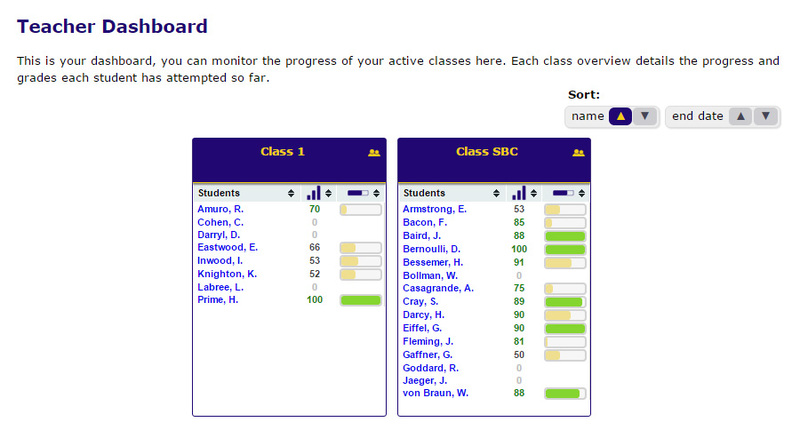 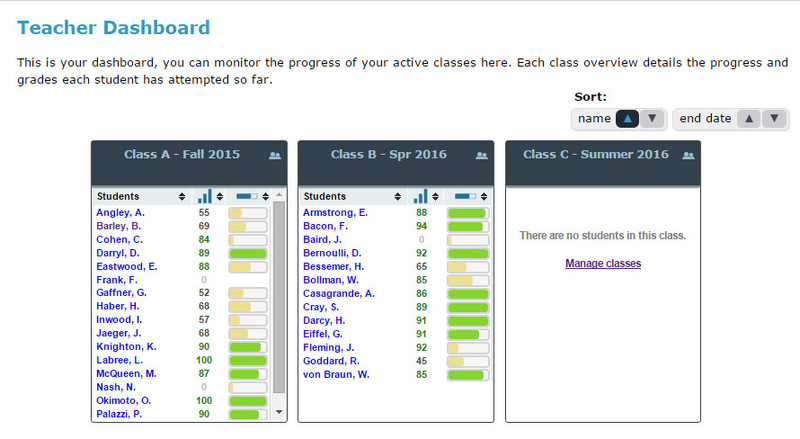 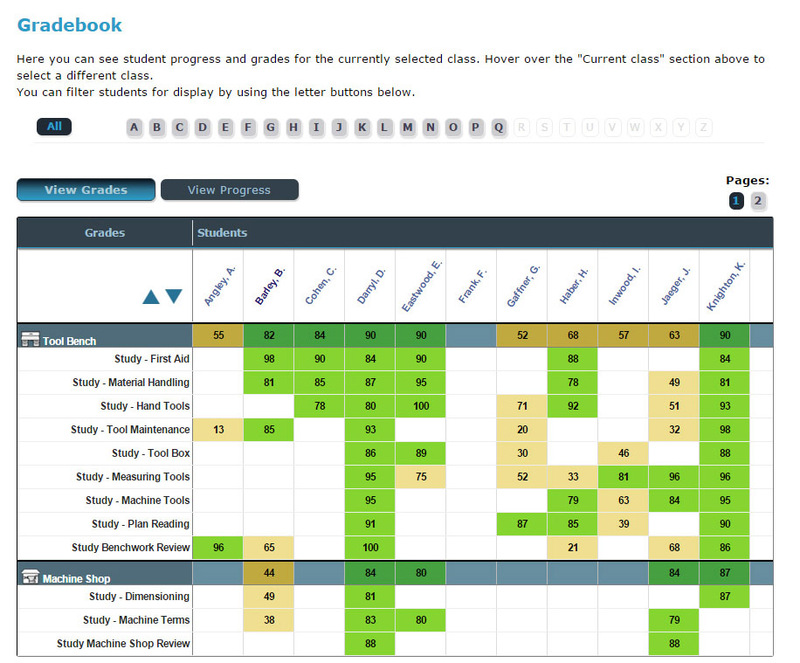 Students are able to view their progress and grades at a glance. 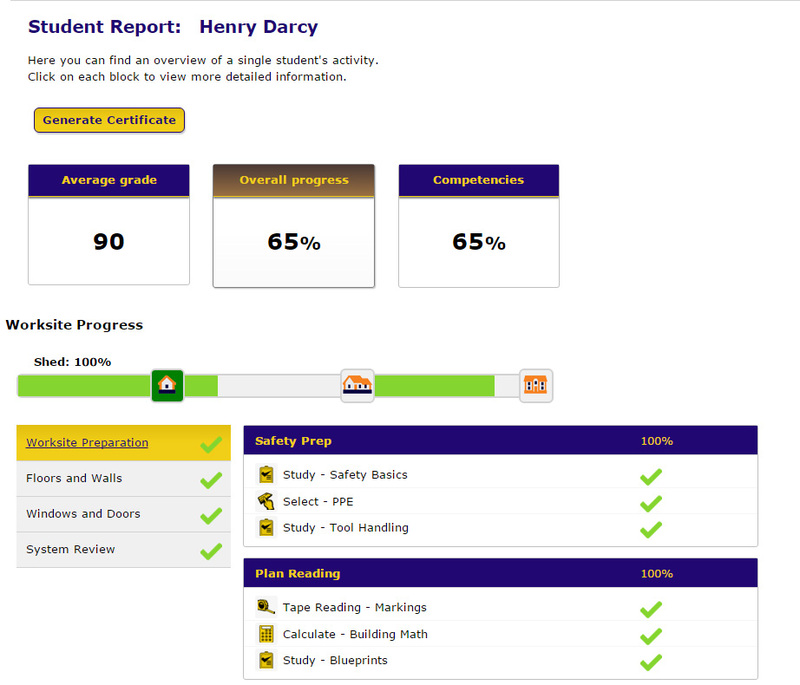 Teachers can monitor each class's progress and performance, print SimBuild student certificates, and access tools used for organizing students into classes. 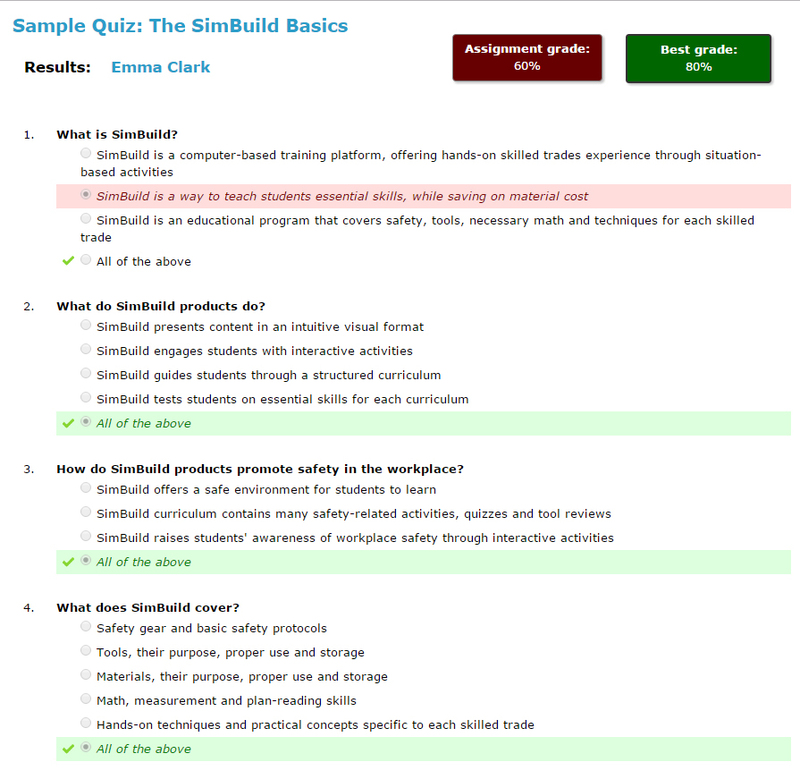 SimBuild™ Carpentry (SBC) teaches practical skills used in residential construction while reinforcing academic disciplines in reading, math and problem solving. 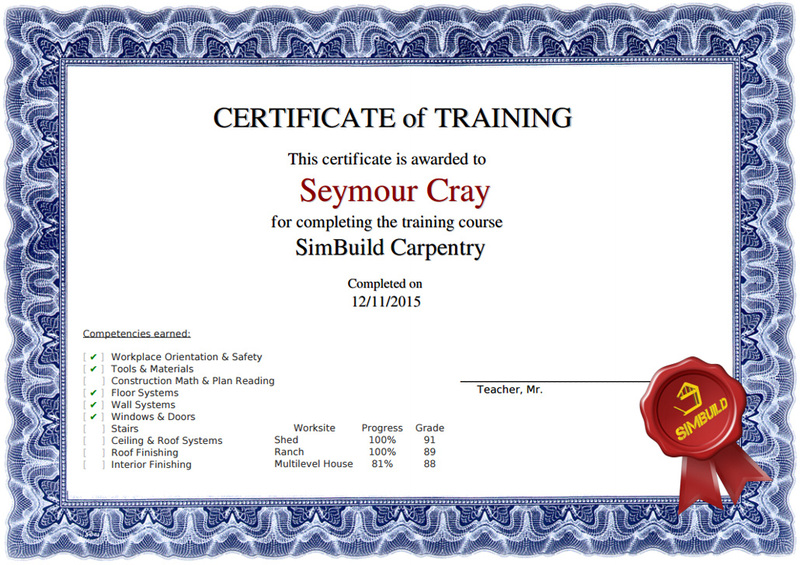 Throughout more than 80 activities, students learn skills including tool reading, framing, installation process, material estimation and construction terminology.Find out more! 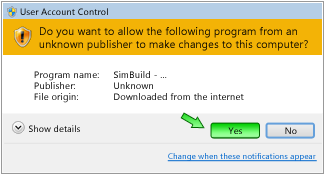 Download and install the SimBuild Carpentry application. 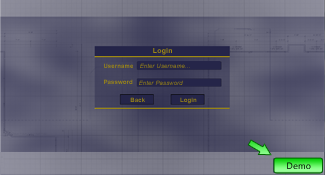 A demo mode button is available from the login screen. 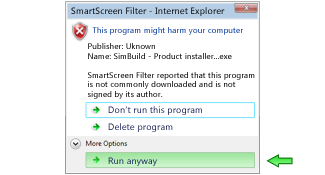 No account is required to play in demo mode, but your progress will not be saved.